సమవర్తిగా, భారత రాజ్యాంగ రచనా సంఘాధ్యక్షునిగా డా. బి.ఆర్‌.అంబేడ్కర్‌ అద్వితీయుడు. ఆయన చూపిన మార్గంలో పీడిత తాడిత వర్గాలు ఆత్మగౌరవంతో తమ ప్రస్థానం సాగిస్తున్నాయి..
తమతమ రంగాలలో నిష్ణాతులయిన న్యాయమూర్తులూ, శాస్త్ర నిపుణులూ చేసిన ప్రసంగాల సంపుటి ఇది. విభిన్న అంశాలపై అంబేడ్కర్‌గారి ఆలోచనలనూ సామాజిక, రాజకీయ ప్రాసంగికతనూ వివరిస్తున్న ఈ సంపుటి ఆయన భావజాలాన్ని ప్రజలకు మరింత చేరువగా తీసుకుపోగలదు. 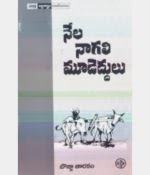 Bojja Tarakam's book Nela,Nagali, Mudeddulu is a story of indian agrarian society.It is a literary narration of social history of dalits living for many generations.It depicts the changing hegemonic social relations and unchanged life of dalits .It explains invariable nexus between caste,land and power.This book is a philosophical note of indian society from victims point of view.This book was published by Hyderabad Book Trust in 2008.Interestingly there is no discussion on this book so far.To understand the politics of power and hegemony of upper caste, one should read this book. 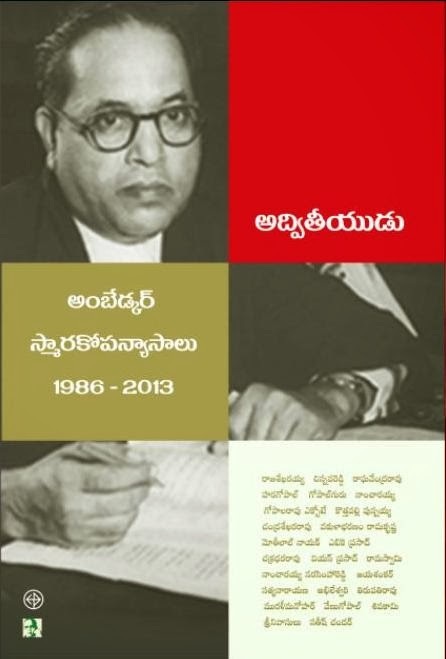 Bojja Tarakam is known as dalit leader in telugu society.He is politically active from the struggle against Karamchedu masacre to till recent agitation against Laximpeta massacre.He has written poetry, prose and essays in support of dalit struggle.Though they are powerful writings, they were discussed in lager literary and political debates.His poetry collection 'Nadi Puttina Gonthuka' is prior to dalit literary movement of eighties and nineties.In this he dismissed Gandhi and the image of "Mahatma" for not having the experience of dalit life.Kulam-Vargam(Caste-Class) is a book of political theory that charecterizes the Indian society.He explains that indian society is both caste and class ridden and also explains the relation between caste and class.As a result his struggle aims against caste and class and had a dream for casteless and classless democratic society. Nela. 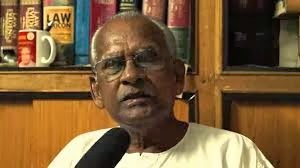 Nagali..Modeddulu is how a dalit reduced to a level of domestic cattle by not allowing him to think as a human being.In this work, he explains the evolution of Indian society and accumulation of wealth in upper caste and victimization of dalits . This is a different genre of writing in dalit literature.